*1 The communication is unidirectional and the AD-1611 cannot transmit commands from the external device/PC to the balance/scale. The AD-1611 itself isn't explosion-protected. 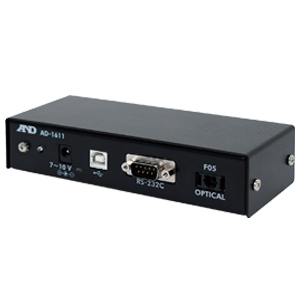 *2 Only a PC can be connected to the USB port of the AD-1611. 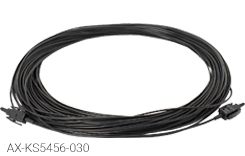 A USB cable (type B male - type A male, 1 m) is provided as standard.